Watch Team DJ’s infomercial for a special perfume! Presumably, your product’s pricing may need adjusting configuring that after paying for a toll free number, Amazon fees, packaging, supplies, and miscellaneous items, you will not make a profit charging just two dollars per bottle. Your business could use a business manager to point you in the right direction. I heard you fart during ur video. did you make a poopy? yes, i belive she made a poop woopy in her scoopy! i want a s hout out. i hate snow days. Your perfume sounds lovely dearies. 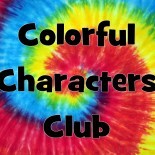 This entry was posted on February 5, 2014 by colorfulcharactersclub and tagged family, friends, fun, infomercial, kid, kids, teen, teens, Tween, tweens, video.